Join a park interpreter to discover the literary genius that is a large part of Henry David Thoreau’s legacy. He penned Walden and a number of prominent essays, including Civil Disobedience and Walking. 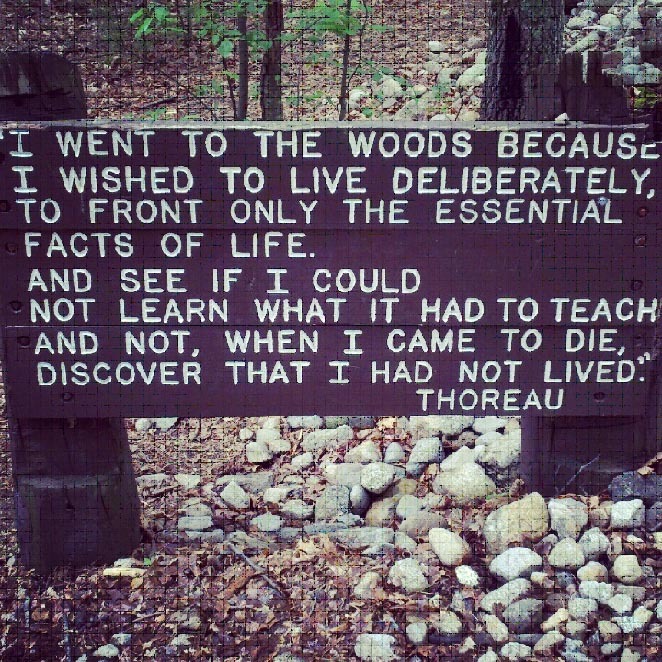 This program will interpret these and other works by Thoreau as we walk along Walden Pond. One week in advance literary topics will be posted on the interpretive programs sandwich board located next to the park kiosks. Participants are encouraged to bring their own copies of the literary piece on the afternoon of the program. Meet at the Thoreau house replica. This entry was posted on June 6, 2013 at 3:06 pm and is filed under Events, Interpretive Programs, News. You can follow any responses to this entry through the RSS 2.0 feed. Both comments and pings are currently closed.